* Authorize – but not require – the Council to approve additional sites if the first site is working well. 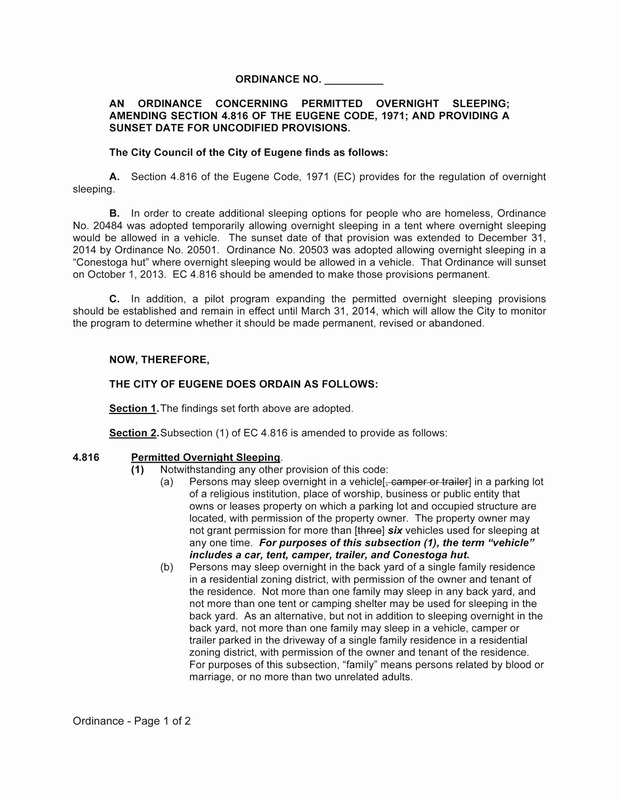 No new ordinances would be needed to authorize additional sites; instead, the City Manager would be able to recommend one or more additional sites, and the Council could approve one of more of those sites by motion. 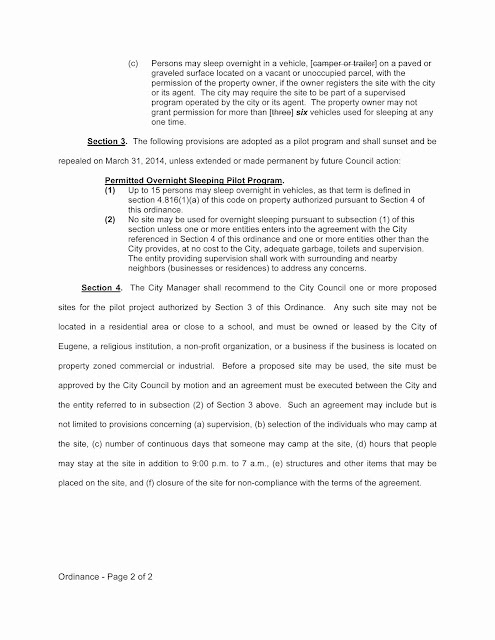 The attached ordinance would leave the decision as to whether there are any additional sites in the hands of the Council, but the approval process would be simplified by allowing the Council to approve the site with a motion. * Authorize – but again not require – the City Manager to permit (as part of a site agreement) a “host”; to allow people to leave belongings at the site during the day; and to allow people to remain on the site beyond the 9 pm to 7 am time period. This flexibility would enable the City to try something at a site, and then quickly change what is allowed beyond the “rest-stop” characteristics originally contained in the Council’s motion (i.e., remove all belongings, vacate by 7 am., etc.) depending on how well things are working. * Authorize the City Manager to include in the site agreement other provisions to address issues that may come up as we gain experience with the pilot project, including provisions that would reduce potential liability for the City.